12) Justice for North Korea: The humanitarian situation in North Korea is deteriorating. 9) Victory to People's Power. Government Accept Demands. Medha's Fast Ends. 4) "Where Love Does Not Exist: North Korean Political Prison Camps"
On World Refugee Day a commemoration rally was held in South Korea which included a Flashmob dance program lead by refugee rights activists playing Michael Jackson's Black or White as background music. The purpose of the program was to raise awareness of refugee issues particularly with the public in South Korea. South Korea has a significant burden of its own regarding North Korean refugees as well as refugees from other Asian regions. A Number of South Korean based, refugee focused, NGOs’ organized the Flashmob project which includes UNHCR Regional Office in Korea, National Assembly Human Rights Forum, National Human Rights Commission of Korea, Public Interest Lawyers Group Gonggam, Nancen, Dongcheon Public Interest Foundation, The Asia Center for Human Rights, MediPeace, Refugee Pnan, Movement DamDang, THABYAE, Center for Good Corporations Action, Migrant World TV, and Associates for Public Interest Law. The Flashmob project took place in Seoul Station, Chengye square and Dae hak Ro on June 19th (Sunday) and in National Assembly on June 20th (Monday). Many people turned out for the Sunday events and a limited number turned out for the Monday event at the restricted National Assembly compound, also known as the blue house. The South Korean government pays little attention to refugees and is the least country among developed countries has fulfilling and implementing refugee rights and address concerns regarding their issues. According to the latest Ministry of Justice report, in 2010, South Korea’s government only granted refugee status to a total of 222 persons and as of now there is still no social welfare assistance, such as living, education, food and housing for basic needs. The United Nations decided to have the World Refugee Day on 20 June. According to the UN General Assembly on 4 December 2000 resolution 55/76 was adopted. The resolution noted that 2001 marked the 50th anniversary of the 1951 Convention relating to the Status of Refugees, and that the Organization of African Unity (OAU) had agreed to have International Refugee Day coincide with Africa Refugee Day on 20 June. Formerly, in Africa this day was used to celebrate Africa Refugee Day. Nowadays, many countries and people around the world celebrate the 20th June as World Refugee Day. This year the UN refugee agency, which is in its 60th year, marked World Refugee Day with a rich and varied program of events in locations worldwide with the launch of a new global awareness campaign. Several current ongoing conflicts, particularly the crisis in Arab countries, have highly escalated the risk of the number of refugees in the world growing. Justice for North Korea: The humanitarian situation in North Korea is deteriorating. The human rights organization, Amnesty International, released a new report on the 3rd May which highlights the increasing number of public executions and the increasing number of people sentenced to hard labor in the notorious political prison camps. They estimate that around 200,000 offenders including women and children are currently held in one of several camps. Approximately 40% of those detained die from malnutrition. The effects of malnutrition are not only experienced by the inmates of political prison camps but also by the wider population. On the 24th May the World Food Programme published a Special Report detailing the results of a ‘Rapid Food Security Assessment Mission to the Democratic People’s Republic of Korea’ in which they conclude that North Korea is “highly vulnerable to a food crisis”. A variety of factors contribute to the impending crisis. 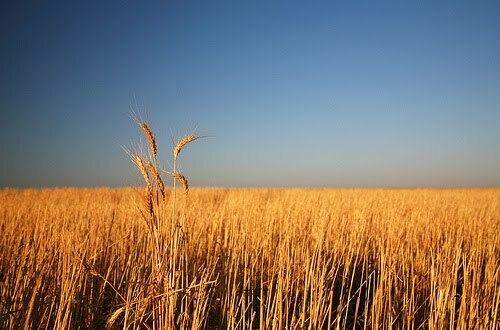 The country has been suffering from food shortages since a severe famine in the 1990s killed many hundreds of thousands: “Foreign experts now estimate that about a million people – roughly 5 percent of the population – died from hunger-related causes during the worst period of the famine, from 1995 to 1997.” At the present time the World Food Programme report states that due to a significant reduction of both domestic agricultural production and commercial imports the North Korean Public Distribution System (PDS) will “run out of food at the beginning of the lean season – May, June, July.” As such it is estimated that in excess of 6 million people are vulnerable to food insecurity and international assistance is urgently required to alleviate the problem. However, the problem is compounded by the wide scale reduction of bilateral assistance which has partly occurred as a result of fears over the North Korean nuclear and missile programmes. North Korea has been subject to weapons sanctions for some time but has regularly been accused of breaching the sanctions by the international community. Most recently a leaked United Nations report said North Korea “appeared to have been sharing technology and expertise with Iran, violating sanctions.” Furthermore, the six-party talks meant to address the nuclear issue have been at a standstill for around two years. The situation was further exacerbated by two acts of military aggression against South Korea last year. In March 2010 the Cheonan, a South Korean warship, was sunk by a torpedo killing 46 sailors. North Korea denied responsibility. Then in November 2010 North Korea shelled Yeonpyeong Island killing 4 including 2 civilians. As the humanitarian crisis in North Korea deepens there are many groups and agencies seeking to address the issues. Amongst these are internationally renowned and recognized organizations such as Amnesty International, the World Food Programme and the Red Cross. But there are also smaller, no less valuable organizations, working to raise awareness of the issues and assist those most directly affected. One such group is Justice for North Korea. Justice for North Korea (JFNK) is a non-profit grassroots organization run entirely by volunteers. Founded four years ago by Peter Jung, a South Korean pastor, JFNK exists for two primary reasons: to increase awareness of the human rights issues facing North Korea and to assist North Korean defectors and refugees reach safety. Since their formation in May 2007 they have conducted various initiatives to raise awareness of the North Korean defectors’ plight. The first such endeavor was the ‘444 Campaign’ which comprised 444 days of anti-China protesting and sought to affect the Chinese policy of repatriating North Korean defectors. This policy towards the North Korean refugees is widely regarded as a major problem by organizations involved in supporting the defectors. JFNK is based out of Seoul, the South Korean capital, and they ended the ‘444 Campaign’ by protesting in front of several embassies including China, Japan and America. The location for the performance was chosen specifically in the hope of reaching young South Koreans. One of JFNK’s stated aims is to raise awareness amongst the South Korean youth who often seem under informed of the sheer scale of the human rights problems inside North Korea. 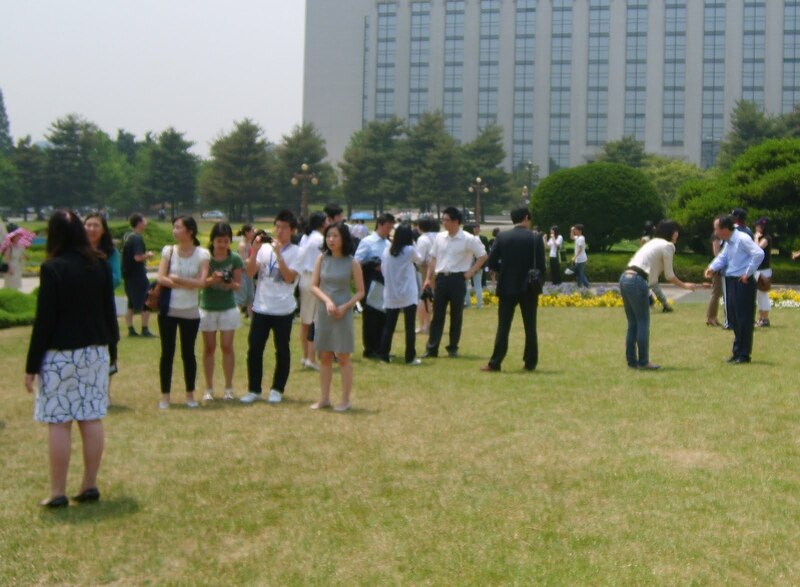 Throughout May Justice for North Korea held several events to mark their four year anniversary. At the beginning of the month two workshops were held with the dual aim of encouraging more volunteers to join and to give several activists the chance to speak to an audience. The first speaker was Kim Sang Hun a volunteer with the North Korean Human Rights Database Centre in Seoul. The North Korean Human Rights Database Center seeks to gather as much evidence of human rights violations inside North Korea as possible. The intentions of the information gathering are manifold; to help initiate a criminal case against Kim Jong-il for crimes against humanity at the International Criminal Court (ICC); to influence more states to support the North Korean Human Rights Resolution Act at the United Nations’ General Assembly; and to provide evidence of China’s policy of forcibly repatriating North Korean defectors. Mr. Kim made a compelling argument that China’s treatment of North Korean defectors found in China is in defiance of international agreements and an abandonment of its obligations as a UN member. It has been well documented for over ten years that China has systematically and consistently carried out forcible repatriation of North Korean refugees under the dubious pretext that North Korean defectors are not refugees. The Chinese position is tenuous, “absurd and misdirected” argues Mr. Kim, as the defectors refugee status is irrelevant when forced repatriation is prohibited by all international laws. In China, only those defectors who manage to gain entrance to a foreign embassy are permitted to leave the country. In the past legal questions have been posed and formal appeals have been made by a series of NGO’s and other international organizations regarding the policy. However, the questions and appeals have so far been entirely ignored. Yet the question of refugee status is unarguably a global issue subject to international law. Although perhaps not quite universally recognized the definition of refugee has been agreed upon by a majority of UN members via international instruments. Two such instruments are the 1951 Convention Relating to the Status of Refugees and the 1967 Protocol Relating to the Status or Refugees. In these a refugee is defined as someone with “well-founded fear of being persecuted for reasons of race, religion, nationality, membership of a particular social group or political opinions” and who is “unable or unwilling to avail himself of the protection of that country” or “outside the country of his former habitual residence and unable or unwilling to return to it.” 137 nations including China have acceded to both the 1951 Convention and the 1967 Protocol and clearly the definition describes North Korean defectors who escape to China. Ultimately, by continuing with its policy of forced repatriation the Chinese Government makes itself complicit with North Korean crimes against humanity. Mr. Kim lamented the seeming apathy of both powerful international agencies and nation states reluctant to force the issue with China and the South Korean youth who remain willfully oblivious to the suffering happening on the other side of the DMZ (demilitarized zone). He cautioned that someday South Korea may have to pay for not helping their “brothers and sisters” in North Korea. In conclusion Mr. Kim did sound a small note of optimism when he suggested that the evidence gathered by the North Korean Database Center was proving influential. And indeed the reports published by the NKDB are significant documents. The annual white papers they publish are several hundred pages of objective, systematically researched and analyzed data on human rights violations in North Korea. They include testimonies from 100s of witnesses and accounts of defectors. The detail and wealth of information is astonishing. After Mr. Kim concluded his speech and answered some questions the audience was afforded the opportunity to hear first hand a defector’s story. Kang Won-cheol took to the stage to relate his experiences in fleeing North Korea and seeking refuge in South Korea. He was 17 years old the first time he escaped from North Korea. At the time of his escape, in 1998, North Korea was in the middle of a famine. Like many others he was motivated by hunger and a rumor that it was possible to earn lots of money in China. Unlike many others he had an easy escape as he lived close to the Chinese border. It is important to note that his initial reason for leaving was not ideological. This was not an escape from the shackles of ideological oppression: it was a journey taken to satisfy basic human need. Leaving North Korea dreaming of food with a fantasy of China in his mind he was immediately shocked by the things he learned there. Most shocking of all was the information that South Korea was a rich, thriving country successfully competing on the world stage. Inside North Korea this and much more information is blocked. Instead domestic propaganda promoted the notion of South Korea as having been enslaved by American “jackals”. This was a seismic shift in his basic understanding of the world and he describes realizing that his entire education for 17 years had consisted of lies. Despite this newfound knowledge life in China was fraught with difficulties. Like all North Korean defectors it was impossible for him to obtain legal status or employment. Each day was spent living in fear of capture by the Chinese police who would immediately repatriate any North Korea defectors. He tried to reach the South Korean embassy but learned that the South Korean embassy in China could not accept responsibility for refugees. Even although South Korea welcomes defectors, and there are currently around 20,000 who have been successfully relocated, the embassy in China was unable to help. In desperation he attempted to reach Shanghai only to be caught by Chinese police and sent back to North Korea. He related the exhilaration he felt flying on a plane for the first time mingled with fear and trepidation at what would happen to him on arrival. Upon his return he was scrutinized and interrogated by the authorities. They were primarily intent on discovering if he had become involved with any South Koreans or Christians whilst in China. Both groups are regarded as ideological enemies of the state. He lied about his experiences, denying all knowledge of South Korea, and was sentenced to four months hard labor in a prison camp. His sentence was comparatively lenient when contrasted with other prisoners in the political prison camps some of whom will spend their entire lives there. Yet the four months was a grueling, dehumanizing experience. Along with his fellow inmates he was fed a tiny amount of corn each day. 14 men died during his four month incarceration. Most died from malnutrition. One morning he awoke unable to see and was blind for 10 minutes before his sight returned. Another morning he woke up and tried to wake his friend sleeping next to him. His friend had died in his sleep. In the prison the dead were not processed as they are outside. Bodies are buried in unmarked graves. One of the worst things he witnessed was the treatment of pregnant women. North Korean women who had become pregnant in China were persecuted. There were many abortions. During his time in prison he thought he would never go to China again. The risk was too great, the possible ramifications too severe. However, after his release he stayed in North Korea for a mere six months before escaping again. This time his escape was motivated not just by hunger but by a longing for a different life. The months in North Korea after his release were intolerable. Many North Koreans believe, as they are educated, that Kim Jong-iL is the greatest man in the world. He is often the sole topic of conversation. Now knowing that Kim Jong-il and his regime are the cause of the peoples’ suffering Won-cheol could not stand it anymore. He was worried he would be killed for telling the truth and so made his second escape to China. This time he was lucky. He met a missionary in China who eventually helped him, along with four other North Korean refugees, to escape through Mongolia and reach South Korea in 2002. The transition to life in South Korea was not without difficulties. Adjusting to life in an unfamiliar country about which he had been lied his entire life was problematic. He started university in 2004 studying business management and graduated in 2010. Whilst studying he became increasingly eager to tell the truth about North Korea. In 2003, prior to starting university, he was given the opportunity to speak at the United Nations and meet representatives from many UN countries. The UN had, in 2003, decided to get involved with North Korean Human Rights and would go on to pass a bill regarding the issue. Won-cheol described being immensely proud of this – the UN members voted for the bill in part because of his story. This inflamed his desire to speak the truth about North Korea. Whilst speaking at the UN he first became aware of the concept of human rights. Upon returning to South Korea he googled the Universal Declaration of Human Rights and read with fascination the 30 articles. He was shocked – every clause is broken in North Korea. Only then did he truly realize how severe the humanitarian situation in North Korea is. PARIS, 6 June 2011 (IBIB) - The Unified Buddhist Church of Vietnam (UBCV) has informed the International Buddhist Information Bureau in Paris that Security Police in Saigon blockaded UBCV Pagodas all over Saigon from early on Sunday morning (5th June 2011) until night, and prevented Venerable Thich Quang Do and UBCV monks from responding to an appeal launched by young Vietnamese to demonstrate peacefully outside the Chinese Consulate at 39 Nguyen Thi Minh Khai Street at 8:00am on Sunday. The demonstration was initiated by students and young people who used the Internet and cell phones to rally support for a nonviolent protest against Chinese incursion on Vietnamese territories and waters, in particular the recent attack by Chinese patrol boats on survey ships belonging to Vietnam’s National Oil and Gas Company (PetroVietnam) conducting seismic tests in waters above Vietnam’s continental shelf, approx. 120 nautical miles off the coast of Phu Yen. The Chinese patrol boats harassed the Vietnamese vessels and cut off one of the survey cables they had in tow. Venerable Thich Quang Do planned to leave for the demonstration at 7:30am on Sunday morning, but at day-break, dozens of Security Police in uniform and plain clothes gathered outside the Thanh Minh Zen Monastery in Saigon where UBCV leader and dissident is under de facto house arrest. Several Police entered the monastery to monitor all movements. Six Security officers in uniform then ordered the monks to bring Thich Quang Do from his room on the upper floor for a “working session”. Thich Quang Do refused to meet them unless they brought a warrant. At 7:00am, a UBCV monk came in a taxi to take Thich Quang Do to the demonstration. Security Police immediately turned it away, and prohibited Thich Quang Do and all other monks from leaving the premises. Security Police remained outside the Monastery throughout the whole day and night, and did not disperse until this morning (Monday 6th June). UBCV Pagodas all over the city were subjected to similar blockades, and UBCV monks were systematically intercepted as they tried to leave their pagodas or take transport join the demonstration. At Giac Hoa Pagoda in Binh Thanh Ward, Venerable Thich Vien Dinh, Superior monk and UBCV Secretary-general was stopped by Police as he tried to hail a taxi along with several other monks, and escorted back to Giac Hoa Pagoda. He tried to leave again later, but was once again intercepted by Police and forced to remain inside the pagoda. Police told him: “The China sea incident is the government’s problem. The people have no right to interfere. It is against our principles, and besides, it could ruin diplomatic relations”. Venerable Thich Quang Do also called on Vietnamese from political and religious families to form an “Alliance against Chinese Encroachment” to press Vietnam to take stronger measures in dealing with China and to oppose China’s incursion on disputed territories, including the Paracel and Spratley islands. At least 1,000 people joined this rare public protest in Saigon, some of them travelling hundreds of miles from the central provinces. Alongside the students and young people, there were also a number of Communist Party veterans, members of the former South Vietnamese National Liberation Front (NLF) and other well-known personalities, including Huynh Tan Mam, former President of the (pre-1975) Saigon Students’ Union, Le Hieu Dang, former Deputy chief of Ho Chi Minh City’s Fatherland Front, Hanoi academic Professor Tuong Lai, poets Nguyen Duy and Do Trung Quan, blogger Osin Huy Duc, 90 year-old Catholic intellectual Nguyen Dinh Dau, and Andre Menras Ho Cuong Quyet, a Frenchman with Vietnamese citizenship who 30 years ago hung the NLF flag on the Marine’s Memorial outside the South Vietnamese National Assembly. 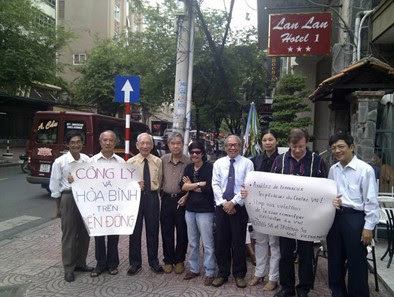 On a placard in Vietnamese, Mr. Menras wrote: “As a French-Vietnamese citizen, I call on China to cease its aggressive and expansionist policies: Peace and Justice for the Paracel and Spratley Islands”. One of the members of this group, Do Trung Quan described the lively exchanges between demonstrators and Police. 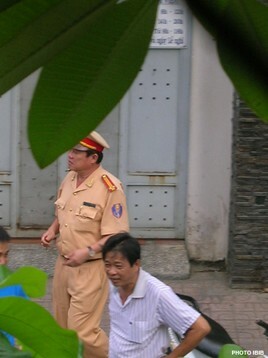 When one security officer ordered demonstrators to disperse “in respect of the law”, Mr. Cao Lap, a revolutionary veteran who spent several years in Con Dao prison for his resistance against the French, retorted: “The law should protect Vietnam and its people, not the Chinese!”. 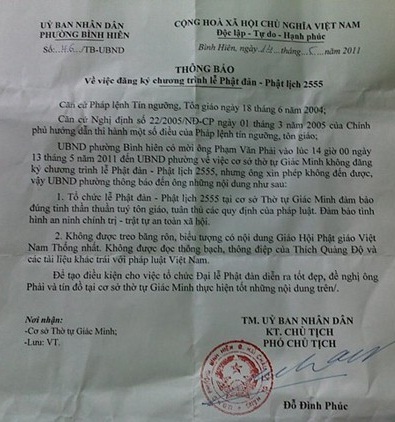 Le Hieu Dang asked the Policeman: “Whose side are you on, China’s or Vietnam’s?” At one point, the group was invited for talks in the Communist Youth’s Union HQ at No. 1 Pham Ngoc Thach Street, just across the road from the Chinese Consulate. When officials of the Communist Youth Movement called on them to cease the protests, Huynh Tan Mam replied: “We have taken a stand. If the authorities take heed of our concerns, we will support them. Otherwise we will keep on protesting”. Reliable news coming out from Sri Lanka is indicating that the opposition parties and a group of eminent people have come to the conclusion that in the interest of the people of Sri Lanka the war crimes investigations must proceed. The eminent people feel that the nation of Sri Lanka cannot in the long term hope to economically and politcally survive if it continues Mahinda Rajapaksa's defiant policy. They further say that the evidences are overwhelming and there may be very little sympathy for Rajapaksa government. The eminent people also feel that the International community must distinguish Sri Lanka from the Rajapaksas. The efforts by Rajapaksa government is to safe guard Rajapaksa and his people, not Sri Lanka per se. since evidences as far as 1970 on violenece is coming up it is simply impossible for Sri Lanka to survive as a free, civil and equitable nation. Too many infraction for too long and it has to be cleaned up. So The International community must separate the Nation of Sri Lanka from the Nation of Rajapksa. What ever that has happened are the sole responsibility of Mahinda Rajapaksa and his group and it has nothing to do with the Nations of Sri Lanka. Opposition and Eminent People of Sri Lanka. Victory to People's Power. Government Accept Demands. Medha's Fast Ends. - Government of Mahrashtra Agrees to 5 major demands of the Andolan & Issues Government Resolution Regarding the Same. 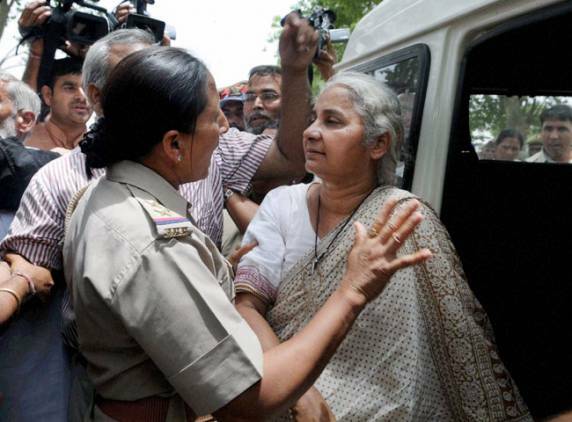 - Medha Patkar & Other Activists Break Fast with the Resolve to Further the Struggle for pro-poor Mumbai. Decision regarding declaration of settlements as slum under section 4 of Maharashtra Slum Area Act and to be undertaken for improvement as per section 5. A joint meeting involving representatives of Government of Maharashtra, Government of India & Ghar Bachao Ghar Banao to discuss implementation of Rajiv Awas Yojana in Mumbai. Activation of the existing High Powered Committee, chaired by Chief Secretary, appointed by Honourable HC in 2005 meant for reviewing the policies & recommend or suggest new policies related to slum housing to government of Maharashtra. A four member committee chaired by Justice (Retd) H Suresh and Simpreet Singh, Sh. Satish Gawai & K P Bakshi as members to investigate and make recommendations related to Ganesh Krupa, Golibar Society by 15th June to Government of Maharashtra. A 5 member committee chaired by Justice (Retd) H Suresh and Sh Sudhakar Suradharkar (EX IPS Officer) Simpreet Singh, Sh. S S Zende & Swadhin Kshatriya as members to investigate into 15 SRA & 3K cases of fraud and forgery, including Shivalik Ventures Project, and submit a report by 30th September to government of Maharashtra. Medha Patkar broke her fast at 1:45 pm, by accepting lemon juice from Akanksha Bai, 80 year old Ganesh Krupa Housing Society Resident who was in jail for resisting demolition. She said, “it is a victory of the lakhs of people fighting for their right to live in the financial capital of India with dignity. The real fight is about the right over land of the poor who make this city what it is. Anand Patwardhan, Sudhakar Suradkar, S Parsuraman, Daniel mazgaonkar, Sudhir Badami, Mayank Gandhi, Kamalakar Shenoy and many other people from different organisations and professional fields were present today at the site to be in solidarity. 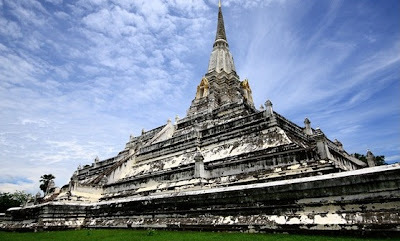 Wat Phu Khao Thong is often called "Golden Mount Pagoda" and was built in 1387 by Mon King Hongsawatoi to commemorate his victory in Ayutthaya in 1569. Today, the 8th Waning day of the second month in Mon Lunar Calendar, is the 254th anniversary of Hongsawatoi Fallen Day. On this Memorial Day, we pray for and pay respect to those who were brutally massacred in genocide at the falling of Hongsawatoi Mon kingdom. Our commemoration of the fallen of Hongsawatoi shall also tell the world that silent genocide has continued in Burma until present day. During this commemoration, therefore, we would like to encourage all Mon people around the world that it is our historic duty to continue to observe the Hongsawatoi Fallen Day every year without fail. In 1757, Burman leader, U Aung Zeya invaded and devastated the Mon Kingdom, Hongsawatoi, by killing countless numbers of Mons including women, children, and Buddhist monks. Thousands of those lived fled to Thailand to escape the persecution. Due to the occupation and repression, our people not only have lost our self-determination rights but also become a minority in our own land. Around the world, after the massacre of millions of Jews by Hitler during the War World II, the incidence of genocide has been minuscule. However, silent genocide and ethnic cleansing still continue in Burma. Successive Burmese governments have pursued ethnic cleansing policies and persecuted thousands of non-Burman ethnic groups. The persecutions of civilian have expended to the killing of thousands of peaceful demonstrators in 1988’s nationwide uprising and in 2007’s Saffron Revolution. The political deadlock and civil war in Burma continue because Burmese military regime has adopted Burman’s chauvinist attitude toward non-Burman ethnic groups. Although Burma now has formed a new government, it is merely military government with a different uniform. The regime has not only restricted on non-Burman ethnic rights but also democratic rights. Although ethnic and democratic leaders are fearlessly demanding political dialogue, the regime has ignored the demand. Political and human rights situations show no signs of improvement; political prisoners have not yet released; freedom of press or expression and the teaching of ethnic languages are still restricted; and human rights violations and civil war in ethnic areas have continued. On this special day, therefore, we urge all the civil societies and the people of Burma to support the United Nationalities Federal Council (UNFC) and the Committee Representing the People's Parliament [CRPP] in order to solve In order to solve Burma’s political problem through tripartite dialogue. At the same time, we also urge all the Mon to continue the fight for our self-determination rights. PARIS, 15 May 2011 (IBIB) - The Unified Buddhist Church of Vietnam (UBCV) Provincial Committee in the central province of Quang Nam-Danang has sent an urgent appeal to the International Buddhist Information Bureau calling on the international community to monitor the situation of Giac Minh Pagoda in Danang during the Celebrations of Vesak, the Anniversary of the Birth of Buddha on 17 May 2011, following threats of repression by the local authorities. “1. The celebrations of the 2,555 Vesak Festival at the Giac Minh Pagoda must be of a strictly religious nature, in conformity with the provisions of the law. The situation of political security and public order must be strictly guaranteed. “2. It is strictly prohibited to display posters or images mentioning the Unified Buddhist Church of Vietnam. It is strictly prohibited to read out the Vesak Message by Thich Quang Do or any other documents that contravene the law”. These conditions are clearly a warning to the UBCV, which has been effectively outlawed by the Vietnamese government since the creation of the State-sponsored Vietnam Buddhist Church in 1981. Since then, UBCV leaders have been arrested, followers threatened and harassed, and UBCV property confiscated. Police routinely prevent or disband gatherings in UBCV Pagodas all over the country, especially during the Vesak, the most important event in the Buddhist calendar. The injunction that the celebrations must be “strictly religious” and ensure “political security” is a veiled threat against the UBCV, which is routinely accused of being “political” because of its activities for human rights. 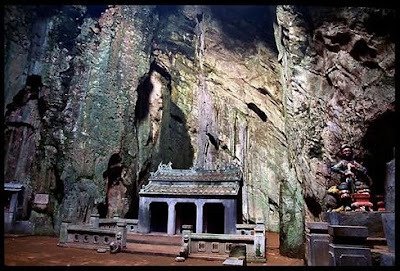 The Giac Minh Pagoda is especially targeted because it is also the headquarters of the Buddhist Youth Movement, an unofficial educational movement affiliated to the UBCV which has over 500,000 members in Vietnam. During the Vesak celebrations last year, Security Police surrounded Giac Minh Pagoda and forcibly pushed back Buddhists who attempted to enter. Several members of the Buddhist Youth Movement were wounded, including Buddhist nun Thich Nu Dong Tam, who was taken to hospital with head wounds. Venerable Thich Thanh Quang states that he will continue the celebrations as planned. The UBCV is Vietnam’s oldest and largest religious community, and although it is not recognized by the government, it has never been officially banned. 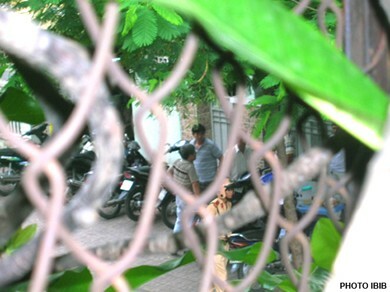 UBCV Buddhists therefore continue their activities, despite threats, repression and constant harassments by the Police. It is inconceivable that the Vesak be celebrated without banners mentioning the UBCV, and especially without reading the traditional Vesak Message by UBCV leader Thich Quang Do, which gives direction and inspiration to UBCV members at home and abroad. Thich Quang Do, a 2011 Nobel Peace Prize nominee who is currently under house arrest at the Thanh Minh Zen Monastery in Saigon, is a not only a revered figure in the Buddhist community. His actions and appeals for human rights and religious freedom have made him a symbol of the nonviolent movement for democracy for all Vietnamese. The International Buddhist Information Bureau calls upon the diplomatic community and international media based in Vietnam to closely monitor the situation of Giac Minh Pagoda on Vesak Day on Tuesday 17th May 2011. We also call upon the United Nations Human Rights Council, concerned governments and international human rights institutions to denounce any eventual Police repression and strongly urge Vietnam to respect religious freedom as guaranteed in its own Constitution and in the UN International Covenant on Civil and Political Rights to which it acceeded in 1982. The UBCV Supreme Patriarch Thich Quand Do issued a Message to Buddhists in Vietnam and around the world on the 2,555 Anniversary of the Birth of Buddha. The message was sent clandestinely to the International Buddhist Information Bureau in Paris from the Thanh Minh Zen Monastery in Saigon, where the 83-year old UBCV leader and dissident is under de facto house arrest. In his Message, Thich Quang Do underscored two significant meanings emerging from this year’s Vesak. Firstly, he cited United Nations’ Secretary-general Ban Ki Moon in his adress to the celebrations of UN Vesak Day, who said: “Your chosen theme of socio-economic development may sound modern, but its core is the very problem of human ruffering that Siddhartha Gautama sought to address more than 2,500 years ago”. This statement is deeply significant for all Buddhists, said Thich Quang Do, for it shows that “in the midst of the ideological and political crisis that is shaking our world, manifested by an escalation of dictatorship and terrorism, the United Nation has recognized the Buddhist teachings of compassion, tolerance and peace as a lifeline that can help solve the problems of human suffering”. Secondly, he noted that the UN celebrates this year the 30th Anniversary of the Declaration on the Elimination of all Forms of Discrimination based on Religion and Belief”. “More than anyone in Vietnam”, he said, “Buddhists are the foremost victims of religious discrimination and violations of human rights that have continued unabated over the past 36 years” since the Communist regime took power in 1975. He also stressed the commitment to freedom and social justice inherent in Vietnamese Buddhism which had led Buddhists to engage actively in the struggle for freedoms and rights over the past 2,000 years. In the past, Buddhists “worked in harmony with ruling dynasties that truly cared the people. But today, this harmony has been lost, perverted by the conflict of alien ideologies that have invaded our people’s minds”. Recalling the Buddhist struggle during the 1960s against the anti-Buddhist policies of the Ngo Dinh Diem regime, Thich Quand Do explained that this was the reason why, “for the very first time in our history, Buddhists took to the streets in the 1960s to defend the values and ethics inherent in Eastern thinking from the aggressive invasion of a foreign doctrine that had was alienating our people and society”. “This struggle against alien ideologies continues today”, he said. “As we embark upon the 21st Century, Vietnam lives under a regime guided by an imposed, alien ideology that has driven our people to fratricidal war, crippled our economy and ruined our society. Our aim as Buddhists, is to oppose this by pressing the government to make concrete reforms. The leadership must cease arbitrary practices and put an end to policies which exist only on paper, but do nothing to bring prosperity, happiness and freedom to the people of Vietnam”. He exhorted Buddhists at home and abroad to stand firmly in the quest for democracy and human rights: “Vietnam has suffered from one hundred years of colonization, sixty five years of fratricidal war and authoritarian rule. It is time for Buddhists to take their destiny in hand. We can no longer stand idle, blame our sufferings on destiny or put things off until the next life. We must follow the example of Emperor Asoka by transcending violence, nurturing compassion and developing wisdom. In this way, we can follow the Path that Lord Buddha walked upon 2,555 years ago. This is the most meaningful way to remember Lord Buddha and pay our debt of gratitude to him on this sacred Vesak Day”. MPJ is a Socio-Political organization which works for the general betterment of the society. It has taken two years as a long term activities of poverty alleviation to remove Aam Admi's burden of ignorance and poverty. For this MPJ has launched a campaign called “Anna-cha-Adhikaar Sarvansaathi or Food right for all throughout Maharashtra from 15th May 2011 to 15th July 2011 emphasizing on strengthening the Public distribution system( PDS). PDS evolved as a major instrument of the Government’s economic policy for ensuring availability of food grains to the public at affordable prices as well as for enhancing the food security for the poor. It is an important constituent of the strategy for poverty eradication and is intended to serve as a safety net for the poor whose number is more than 330 million and are nutritionally at risk. PDS with a network of about 4.99 lakh Fair Price Shops (FPS) is perhaps the largest in the World. MPJ finds the recent recommendation of Justice Wadhawa a boom to revive and strengthen the existing PDS system on the other hand GOI plans to introduce conditional cash transfer (CCT) which will weaken& harm the PDS. MPJ therefore strongly advocates the implementation of Justice Wadhawa Report on PDS and opposes the CCT. 1) Licensee process to Fair Price shop(FPS) should transparent and without political interference. A Government Resolution for sanctioning of FPS has to be rationalized. 2) Under Clause 16 of the Maharashtra Scheduled Commodities Retail Dealer’s Licensing Order 1979, the Minister has the power to suo motu restore an FPS once it has been cancelled by the DSO and the order,on appeal, has been upheld by the Deputy Commissioner. The role of the Minister in restoration of FPS should be removed. 3) The government should take the burden of transportation away from the FPS dealers and should ensure free door step delivery of foodgrain to the FPS dealers& with no increment of their commission. 4) FPS dealers are being allowed to sell certain variety of non-PDS wheat and rice at their shop along with PDS wheat and rice. This practice must be stopped immediately. The PDS and non-PDS wheat and rice cannot be distinguished and leaves scope for malpractices. Only non-PDS commodities should be allowed to be sold at the FPS. 5) Vigilance Committees in the State are practically non-functional. State authorities to reconstitute FPS level Vigilance Committees. The process of selection and appointment of members of such committees should be transparent and should involve ration card holders, particularly, the household women in the area. The non-political persons should be appointed in the Committee. The Vigilance Committee should meet at least once in two months at the Collectorate on a fixed day and time. State Government should fix the responsibility of the officials and take due action against non functional and corrupt. The role and powers of the Collector should be redefined so as to make him/her more accountable and responsible for the functioning of PDS in the district. 6) Vigilance Committees of District &Block level should be authorized to conduct social audit from time to time. So there is check on allocation, distribution and sale of the food grains. 7) Transportation of food grains from FCI to the State godown is being done by private transport contractors. The area of the State is quite large, for the Maharashtra there should be two- three Civil Supplies Corporations for lifting PDS foodgrain from FCI Depot and bringing the same to the State godown. In all, over Maharashtra including Mumbai-Thane region, there should be door step delivery at FPS. Further, induction of Global Positioning System (GPS) technology is recommended for keeping a track on the movement of trucks carrying food grains from the FCI up to Fair Price Shops. In case of shortage of foodgrain at the time of delivery of foodgrain from the FCI to the State godown, the private contractors are made to bear the cost of the foodgrain. However, the transporter is made to compensate for the foodgrain at APL rate. 8) The allocation of foodgrain for APL always fluctuates and there is always ambiguity about its allocation amongst the beneficiaries. The FPS dealers take advantage of this and divert this category of foodgrain. The APL beneficiaries are not given their entitlement by the dealer on the pretext that there is no allocation. On the other side, the government does not lift 100% of the quota from the Center on the ground that there is less demand in this category. APL should be increased to atleast Rs.2 lakh per annum or more,this will ensure that beneficiaries who are just above the poverty line also get included in the PDS in the state. 9) Distribution of food grains to the beneficiaries was found to be in a dismal condition. The rules under the PDS Control Orders are being blatantly ignored. Therefore the FPS should display board, maintain sealed samples, maintains required registers, complaint registers, issue receipt to the beneficiaries, making the beneficiaries sign the sale register at the time of issuance of food grains from the FPS. 10) BPL identification is biggest challenge to State as well as Centre. In view of the high cost of living this income ceiling for BPL beneficiaries should be raised to at least the prevalent minimum wages. Also, there are a lot of inclusion and exclusion errors in identification. The current identification is based on the 1997 survey which is old and outdated. Fresh survey should be done. The District Collector should be assigned primary role in the process of identification as often the Collectors find themselves being approached with numerous complaints with regard to incorrect identification. 11)Ration card should be renewed from time to time.On Bogus ration card an Amnesty Scheme may be adopted for giving sufficient time to the public for surrendering the unauthorized ration cards on their own clarifying that any disclosure / surrender. Ration card should not be used for any other purpose except for drawing ration commodities. It should be de-linked from all other schemes connected with BPL identification done for this purpose. It should not be used be used as proof of residence or as an identity proof for any other purpose. This should be strictly implemented. 12) There many more suggestions like end to end computerization from FCI godowns to FPS,sms to monitoring the PDS,adequate staff from Food department to lower rank officers, Centre-State price settlement on APL&BPL food grains& To create awareness among the people through press release by Collector, local TV channels, phamplets & hoardings giving public information about their entitlement. There are many more such important recommendation by Justice Wadhawa. MPJ will put all efforts to alleviate poverty in the State of Mah. through implementing the above guidelines. We support & advocate the idea of universalization of the PDS. MPJ believe that the government’s plan to directly transfer the cash excluding the PDS will damage the entire welfare measures in long run. The PDS should be based on Protein-Energy based so that edible oil, pulses, millet and sugar are included. We also want that in rural areas and in poor slums Aganwadis should be set up based on population size for proper uptake of children, adolescent girl and pregnant women. We from MPJ gives clarion call to citizens of all age groups,activist,media persons to support and participate whole-heartedly in the campaign to alleviate poverty and make to a success. We do hope your kind co-operation in this regard. The Hon’ble Supreme Court today took strong exception to the inordinate delay by the Ministry of Environment and Forests in taking a decision on the command area plans (CAD) of the Indira Sagar and Omkareshwar Canal Projects. The Court sought a categorical explanation as to why the Ministry has not been taking any clear position, inspite of four reports by the Dr. Devender Pandey Committee of Experts on the Narmada Canals, concluding non-compliance with the clearance conditions. After hearing the parties, the Three Judge Special Narmada Bench including Hon’ble Justices Shri B.N. Kirpal, Shri J.M. Panchal and Shri Deepak Verma directed the Solicitor General and the Secretary, MoEF to personally be present before the Court on the 11th of May and clarify the Ministry’s position to the Court. It is well-known that the Madhya Pradesh Government has been going ahead with reckless excavation of the most fertile agricultural lands in the valley, ever since the Apex Court lifted the High Court’s stay in February, 2010. After protracted legal proceedings, the Supreme Court directed in its order of on February 24th, 2011 that the M.P. Govt. must submit detailed CAD plans by 24th March and thereupon decision to be taken by MoEF within a month’s time. 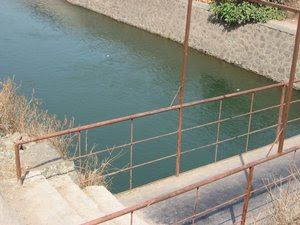 The MoEF, instead of using its legal mandate to stop work as per the Environment Protection Act, in the face of obvious illegality, lack of planning and serious violations, took a different approach of calling for two meetings of the Expert Appraisal Committee for River Valley Projects and is yet to take a clear position and decision of issuing stop-work orders. The same order also stated that the Ministry shall consider objections, if any, filed by the NBA and the canal-affected persons. Although the NBA was not provided all the requisite documents and plans submitted by the NVDA, objections were raised by the NBA. The M.P. Govt. has been asked by MoEF to respond to the objections raised by NBA by 5th May i.e. by tomorrow. Advocate Sanjay Parikh and party-in-person Ms. Medha Patkar pleaded before the Court today that there has been unnecessary and deliberate delay in the MoEF’s decision-making process, which is leading to unjustifiable violations, destruction of thousands of hectares of land, livelihoods and also non-compliance of the Court’s directives on the rehabilitation, with land of the affected farmers. Advocate Ms. Pandey could not answer satisfactorily to the Court as to why the MoEF has not taken a position, despite the Solicitor General’s assurance on the last date of the hearing. The Court took a firm position that such delay by the Ministry will not be tolerated and directed that the Secretary, MoEF and SG to be present before it on the next date of hearing and clarify the Ministry’s position. It may also be recalled that the MoEF Minister, Mr. Jairam Ramesh himself promised to visit the Narmada valley in April, when hundreds of affected farmers protested at his Ministry’s gates, but did not keep up to his assurance. The situation on the ground remains serious and thousands of people are fighting their battles with the project authorities in the villages that are fully irrigated and in the catchment of SSP , where there is a river today and reservoir tomorrow and thus no rationale for the canal networks itself. "Where Love Does Not Exist: North Korean Political Prison Camps"
‘Forced Abortion’, two prisoners are forced at gunpoint to stand on a pregnant woman. The title of the exhibition is derived from a statement by Dong-Hyuk Shin, a North Korean defector: “I never heard the words ‘love, bliss, pleasant, misfortune, injustice, resistance’, and only discovered the meanings of these words in South Korea. These words are words that do not exist in prison camps.” ‘Where Love Does Not Exist’ consists primarily of photographs, films, posters, literature and striking illustrations which depict the egregious human rights’ abuses which regularly occur within the political prison camps. The pictures show a litany of abuses, human degradation and torture. Due to the lack of photographic evidence to record the inner workings of the political prison camps the illustrations are particularly significant documents. 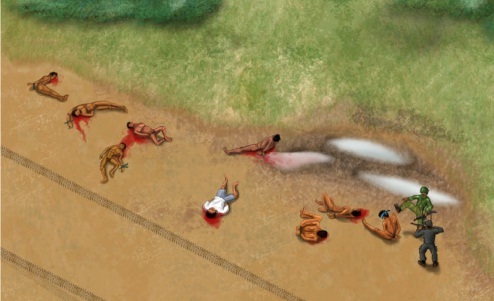 Each illustration, all of which were made by a former “The political prisoners’ camps (PPC) detainee, detail the harsh and inhumane living conditions the prisoners are forced to endure. The images are shocking and transgressive and the cumulative effect of the material gathered in the exhibition is very powerful. It makes it frighteningly clear that the North Korean Political Prison camps are the antithesis of the values enshrined in the Universal Declaration of Human Rights. The term ‘North Korean Political Prison Camp’ generally stands for political penal-labor colonies of which there are currently 6 in operations today. They are operated by the North Korean National Security Agency and, if the statistics from recent government reporting are to be believed, approximately 154,000 individuals are currently remanded in one of the 6 camps. The camps serve to isolate political prisoners along with two or three generations of their family from the rest of North Korean society. Those deemed to be political enemies by the state include capitalists, anti-communists, Christians and, of course, defectors. The punishment meted our for these ideological crimes is forced physical labor, often until death. The term ‘Political Prison Camp’ is actually a South Korean name. In North Korea the camps are alternatively referred to as ‘kwan-li-so’ or ‘the complete control district’. They were created in 1947. One camp, called Yodok, is actually split into two sections. There is the complete control district for prisoners who are to be imprisoned for life and a revolutionizing district from which prisoners can eventually be released if they are considered to have been ideologically rehabilitated. In the revolutionizing district prisoners are educated in the ideology of il-Sung Kim and Jong-il Kim. The Yodok camp is memorably described by Kang Chol-Hwan in his memoir “The Aquariums of Pyongyang: Ten Years in the North Korean Gulag.” Imprisoned as an eight year old child with his family Kang Chol-Hwan spent 10 years in Yodok before being released and eventually escaping to South Korea. He describes a life of hardship and cruelty, of near starvation and suffering. The stories of life in the camp he recounts in his memoir are echoed by the scenes depicted in the exhibitions’ illustrations and few photographs; disposing of corpses, solitary confinement, malnutrition and forced labor all feature in both. Indeed, it is difficult to comprehend the deprivation suffered by detainees. How does one rationalize a system which only socializes human beings to act as slaves? For this is what happens to those children detained along with their parents and those unfortunate enough to actually be born inside a camp. It is a life described by Dong Hyuk Shin, a former prisoner of the 14th Gaewchon Complete Control Zone Camp, in his memoir: “I was born in a political prison camp and lived for 24 years without knowing who Il-Sung Kim and Jong-Il Kim were…Socialized with the bare minimum words and emotions to perform addition and subtraction, and to follow work instructions, we were bred under physical violence as laboring slaves.” For a nation state to treat its people in this manner is a violation of any number of basic human rights. Article 4 of the Universal Declaration of Human Rights states “no one shall be held in slavery or servitude; slavery and the slave trade shall be prohibited in all their forms.” Article 5 states that “No one shall be subjected to torture or to cruel, inhuman or degrading treatment or punishment.” Clearly the lives prisoners in the North Korean PPC’s are forced to lead are in violation of these two principles. Historically, due to the amount of control and strict operation of the facilities little information regarding the camps has reached the rest of the world. However, their existence is now without doubt and their near secret and decades long history is being increasingly brought into the light and revealed. It is exhibitions like “Where Love does not exist” and the actions of other campaigners which have helped to draw the wider publics’ attention to the issue. That the nature of the camps contravenes international human rights is without doubt. The National Human Rights Commission of Korea has estimated that approximately 200,000 prisoners including women and children have been or are currently detained in a Political Prison Camp and the vast majority of those are held without reference to any judicial process. In many cases the prisoners are the family members of primary “offenders”. They are held without being informed of the charges against them, sent to maximum security camps and have to work hard labor for life in the most appalling conditions. Like the survey report the exhibition ultimately seeks to confront the reality of the camps. However, the exhibition seems able to do something the report cannot. And that is to display the reality of the camps to the South Korean public in an emotionally resonant way. 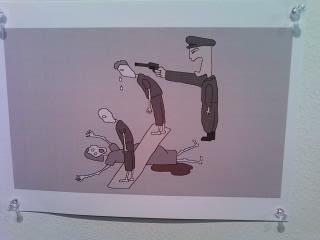 It is perhaps unusual for such an exhibition to be displayed in the art galleries of Insa-dong and Samcheong-dong however the amount of visitors would seem to indicate a public hungry for information on the internal workings of North Korean prison camps. There is a sign in the exhibition space encouraging viewers to take photographs. At least one spectator was amazed at the number of young South Koreans taking pictures with their mobile phones of the various exhibits. This is an encouraging development. Indeed, the exhibition organizers hope that their group, SAGE, represents a new incarnation of the North Korean human rights movement; a new model that is more emblematic of the youthful ideals hopefully held by students across the country. One of the planners, Im-Suk Ha, a senior Industrial Design major at Handong Global University expressed their intention in mounting the exhibition: “We planned this exhibition believing that it was our responsibility and duty as a generation preparing for reunification and as youths who carry the identities of intellectuals, university students, South Korea, and the Korean peninsula at large. I hope that the exhibition will provide youths of the Republic of Korea with a newfound perspective regarding North Korea and an opportunity to empathize with them.” Educating others on human rights in North Korea is clearly an important part of the SAGE agenda. Starting on April 2 and lasting until the 2nd of June the group are running a SAGE academy in the Hanbyuk gallery in Samcheong Dong. A variety of academics have been invited to lecture during the course on subjects including Modern Korean history, Human Rights in North Korea and the roots of ideological conflict. Hopefully SAGE’s proactive stance towards North Korean human rights will garner support. The issue of North Korean PPC’s is a serious one which deserves more attention from the world’s media and should be higher on the international agenda. Their existence is a crime against humanity. The survey concludes that: “Thus, it is believed that the PPC have become the definitive case of serious violations of human rights in terms of the absence of judicial process, the system of application of guilt by association to the families, violation of the right to survival, forced hard labor and all aspects of extremely harsh life in the camp during detention. All the conditions listed above are in serious violation of international human rights instruments that North Korea has signed. Accordingly, the issue of the PPC is a case of utmost urgency and constitutes the very barometer of the human rights situations in North Korea.” Hopefully the actions of campaigners like SAGE will bring the issue to greater public attention. 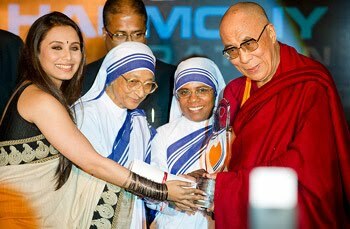 Dalai Lama(R) receives the Mother Teresa Memorial International Award for Social Justice from Indian actress Rani Mukherjee(L) 2010. MPJ is a Socio-Political organization which works for the general betterment of the society, fighting the social cause and promoting peace and harmony in the nation. It has taken activities to eradicate injustice, defend the case of the common man's problems. In recent past it had launched a state wide campaign against Bhay, Bhook aur Bhrashtachar.We had supported Shri Anna Hazare in many of his campaign & has received his valuable guidance & blessings time to time. The Movement for Peace & Justice, Maharastra fully supports Shri Anna Hazare who is demanding enactment of Jan Lokpal Bill as the legislation proposed by the government was not adequate and lacked teeth. He has maintained that a joint committee, comprising representatives of the government and civil society, should be set up to firm up the bill. The draft presented by the successive governments since 1971 have been inadequate and do not effectively empower an independent body or an ombudsman to investigate and prosecute people’s representatives, serving or ex-ministers, other currently serving and retired government officials. The draft of the bill proposed by the government is fundamentally flawed as it reflects a biased view and completely lacks political will on the part of the Union Government to tackle the menace of corruption. The members of the Movement for Peace & Justice, Maharashtra pledge to extend and support this campaign of “India against Corruption” throughout Maharashtra till the demands are met. In solidarity with all those who are supporting for the better cause&future of India. After walking hundreds of kilometres, an Adivasi rally arrives in Mumbai. ON 14 MARCH, about 20,000 Adivasi women and men from all over Maharashtra walked hundreds of kilometres, across the state, to Shivaji Park in Mumbai. The next day, they began their march to Azad Maidan. They had been walking for two weeks. And now, finally, they were in the capital: 20,000 tired but determined protestors of the Jungle Haq Sangharsh Yatra. For urban spectators, the rally would have been remarkable for its size and spectacle; but mostly all they saw was jammed traffic and delayed transit. Few seemed to care what the march was really about. Even a prominent news daily saw it fit to report on the traffic jams and inconvenience to urban Mumbaikars without looking wider or deeper. The truth is, this massive rally of Adivasi people, far from being beaten into dispersal, as is often the case with protest marches, was escorted by non-aggressive police. And surprisingly, in the searing 38-degree heat, several MLAs in immaculate white accompanied the marathon walkers into Azad Maidan. Was this a rare moment of people’s power peacefully gaining a firm handle on a government ready to run for cover? It was the Maharashtra government’s neglectful and callous attitude towards the implementation of the Forest Rights Act of 2006, which had seeded this strong and spectacular protest. The Act had promised to rectify decades of injustice, and validate the right of Adivasis over the land and forest that they have lived in for generations. However, negligible justice has been delivered since. Of the 2.88 lakh forest land claims that had reached the Sub-Divisional Level Committees, 1.7 lakh had been rejected. Further, the average area of approved claims (0.63 hectares) was not even 50 per cent of an economic holding. Many of the “approved” cases bear closer examination; an Adivasi may be in possession of 3 acres of land, have half an acre ‘approved’ and still face eviction from the remaining 2.5 acres. Chief Minister Prithviraj Chavan had apparently earlier requested that the rally should not enter Mumbai. This may have pleased harassed urbanites complaining “protests must happen without inconveniencing the common man”; it seemed no matter that the protesting common man — the Adivasis, rooted to their land for generations — had been indefinitely deprived of their very right to life and livelihood. IT WAS in this mood of mountain-moving focus that the rally arrived in Mumbai to assert ‘Adivasi asmita’ or tribal identity in a gargantuan system that barely accounted for their existence. Although jaded and jolted by the city, the tribals persistently coloured Mumbai’s streets with their caps and flags. Led by women holding a banner, the Bhute dancers from Nandurbar and Mawchi tribesmen followed. In the spectacle of painted bodies, turbans with feathers, waists decorated with strings of dried gourd and ghungroos, a sea of banners from participating organisations surged across the urban landscape; slogans emanated from a loudspeaker on a truck. This procession was followed by about 10,000 women rallyists. Disciplined, the walkers did not veer off their files. When people attempted to cross the road, the women chased them down. “We have been walking for 14 days to talk to the government. Why can’t you respect our wishes?” yelled Raju. However, the walkers did not disconnect from their innate integrity; they waited for a funeral procession to pass. “We are walking for our lives; they are walking for the dead. We cannot be disrespectful,” said Kalawati from Dahanu. Raju stopped the men he was leading to allow school children to cross the road. Many watched from their balconies — a tide of people, some barefoot, braving the burning asphalt of the JJ Flyover. Sunni from Nandurbar, whose land claim had been rejected, asked with bemusement, “Why do they say you get everything in Mumbai?” Sunni’s sojourn in Mumbai convinced her that it was a place without clean water. The drinking water tanker in Shivaji Park had emanated a strong stench. With the crush for bathrooms, very few could bathe before heading out for the rally. “Walking from our villages, we passed small rivers where we bathed. Along the way villagers offered us water to drink and freshen ourselves. But there is no water facility in Mumbai,” said Anitabai, an old woman wearing thick spectacles. But it was not just the lack of common resources or generosity in the city that struck the Adivasi protestors. It was the general lack of human engagement. Humabai Gavit, who had been leading the rally, wiped her face as photographers obstructed the walkers near CST station, at 2 pm. One journalist asked rather inanely, “Isn’t it tough to walk in this hot sun?” Humabai smiled, “We work in the sun everyday. We don’t enjoy it, but how will we survive otherwise?” She was too dignified to jeer at the journalist. Is that all they could question, the discomfort of the sun? This massive yet peaceful assertion of people’s power had effectively pitched a marginalised issue into high-level political discourse; it had urged the police and security infrastructure to allow a large and sensitive protest like this march across a metropolis; an entire community valiantly fights an uneven battle… and the question is about the inconvenience of walking in the sun? The rally being allowed to wend its way across Mumbai was in itself a rare concession. The Congress-NCP government still carries the acrid hangover of the 1994 Gowari stampede: 120 people from the Gowari tribe had lost their lives while walking towards the Nagpur Vidhan Bhavan, which led to the collapse of the Sharad Pawar-led Congress government. Yet, this rally was not only allowed, but dignified with political engagement. The Opposition moved an adjournment motion in the Budget Session of the Assembly on the morning of 15 March. At 3 pm, a delegation of 50 Adivasis were invited to meet the Chief Minister. After hectic negotiations, it was agreed the Tribal Welfare Ministry would draft exhaustive guidelines to ensure that the rejection of claims was not speedy, furtive or without due process. More importantly, through these guidelines, rejected claims can now be reviewed several times — a historic first, anywhere in India. By the evening, the resolute journeyers — exhausted but victorious — began to make their way home, back into the green forests. Mumbai looked on from cars and balconies; untouched, but perhaps not unmoved. A bench comprising justices Dalveer Bhandari and Deepak Verma, flayed the government for following the 2004 criterion for identifying Below Poverty Line (BPL) families. The 2004 criterion stipulated that those with daily spending of less than Rs 12 in rural area and Rs 17 in urban areas would fall in the BPL category. "Do you think that in 2011, Rs 17 and Rs 12 are a realistic figure seeing the current rate of inflation. Even the government of India has increased the salaries of its employees twice in a year. How can it be realistic?" the bench said, adjourning the matter till April 4. During last hearing on March 16, the bench had asked the Centre as to why the tax payers' money should be used for subsidizing food grains under the public distribution system (PDS) for those who are above the poverty line. "We don't understand the logic as to why a person, let us say earning an annual income of Rs 10 crore, should be (given) subsidy (by using) the tax payers' money for distribution of the grains." "We can understand the necessity of subsidizing those who belong to the AAY (Antodaya Anna Yojana) and BPL families should be given the benefits, but why should others be given the benefit from the limited resources?" the bench had asked. It had also asked the government to explain the steps taken by it for computerization of the PDS delivery mechanism to ensure fool-proof implementation of the welfare measure.